This private practice was opened in 1978 by Dr. Joe Steven. He built a trusting, friendly, and comfortable dental practice that his patients came to appreciate more than anything. After many years of practicing on his own, his daughter joined him in 2007 and has maintained the tradition. With staff members and patients who have been with us for 15, 25, and almost 40 years, this sets us apart from many others. We pride ourselves on the fun-loving and family atmosphere that our beloved Dr. Steven first started! We have been researching more natural ways to approach dentistry as well as overall health. When you walk through the door, you will find fruit-infused filtered water you may enjoy while waiting for your appointment. In the treatment rooms, relaxing and cleansing essential oils fill the rooms to add to the comfortable atmosphere. From toothpaste and rinses for sale that contain cleaner ingredients to prophy paste without artifical dyes, we choose more natural products because we also care about the overall health of our patients. Your mouth is closely connected to your body, and what happens in one affects the other. Likewise, how you feel about your teeth affects your self-esteem and confidence. 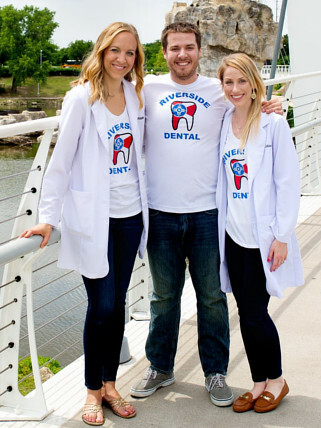 Dr. Rupp, Dr. Neuman, and Dr. Balbierz understand the interconnections and would love to help you and your family members develop the healthy smiles you deserve! Your doctor will create a unique care approach to address your personal needs. Before starting treatment, we will review treatment options and financials. We want you to be informed so you can make the best possible decisions! Your first step to a healthier, more beautiful smile is a consultation with us. Call our Wichita, KS family-friendly dental office and schedule yours today!